You can view these charts on your computer, print them on your computer in reduced size, or send/take them to a printer such as Kinkos or Office Depot for a large format print - about $3 (B&W). 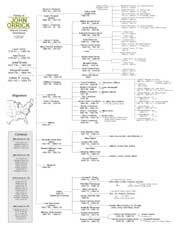 This chart shows the immigrant James Orrick/Ourrouck and known descendants. 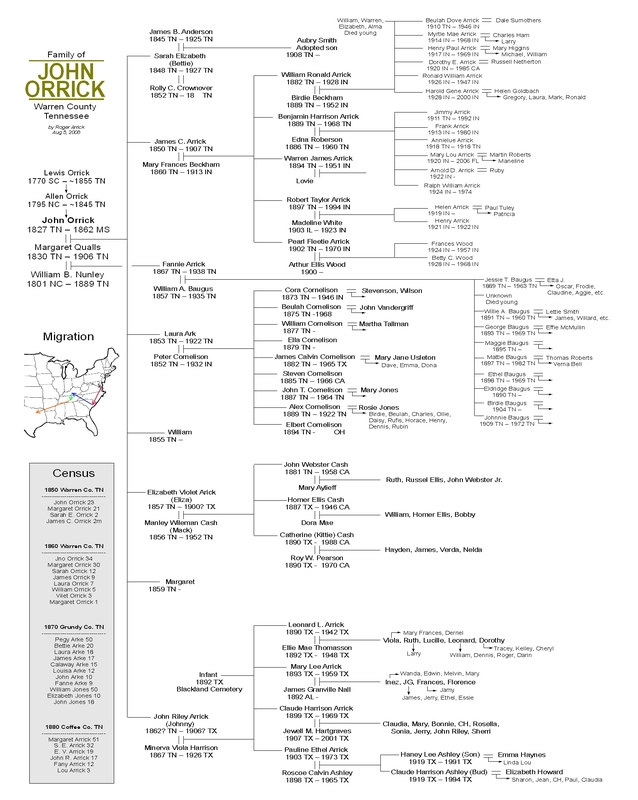 Designed to help Orrick researchers visualize early Orrick lines and specifically to aid research on the unconnected Orrick line that went south to the Carolinas then westward to AR, TN, etc. 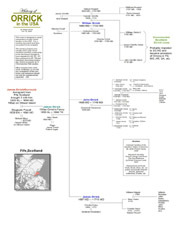 This chart shows John Orrick and wife Margaret, their children, grandchildern and some greatgrandchildren. A few branches are still mysteries. 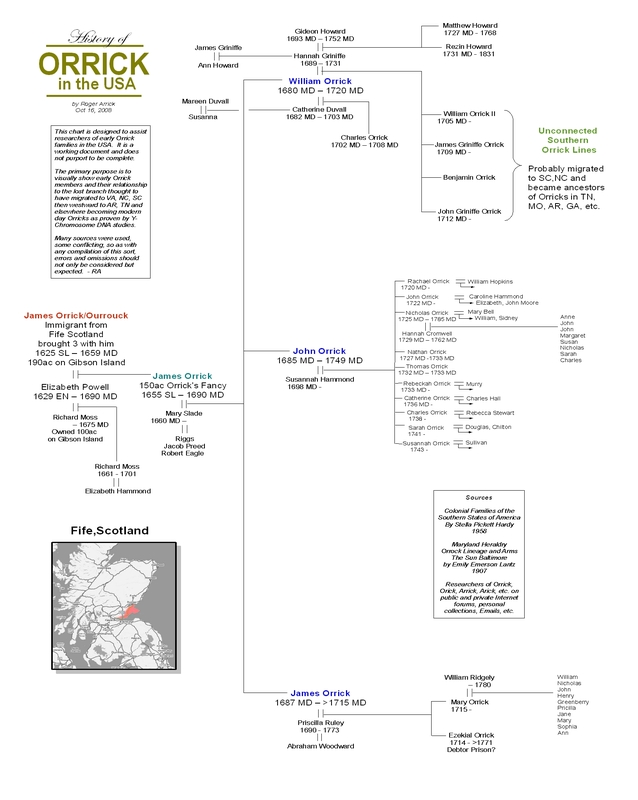 John's paternal ancestors are also shown as well as a migration map starting at Maryland, and census listings. John died from wounds at the Battle of Shiloh. The family pronounced their name 'Ark' and some of their kids used 'Arrick'.